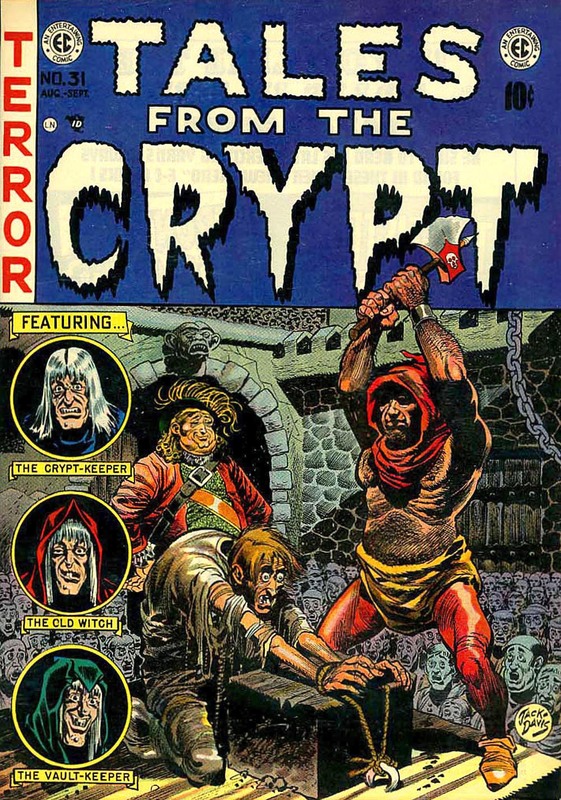 Stanley Martin Lieber was born December 28, 1922, the eldest son of immigrant parents (his younger sibling Larry Lieber also became a comics writer and artist of note). 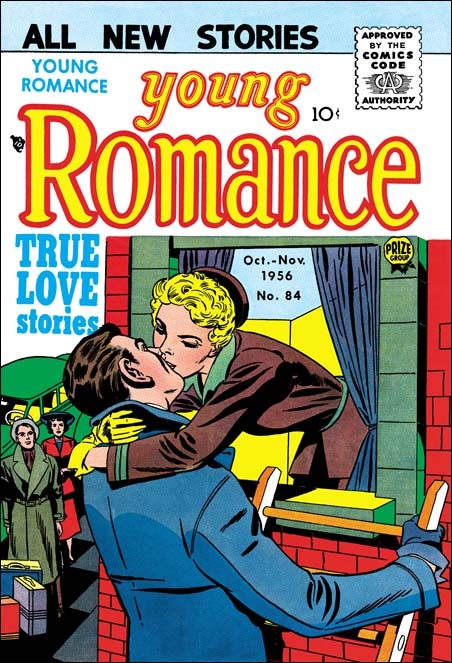 Young Stan was an avid reader who dreamed of one day writing The Great American Novel. 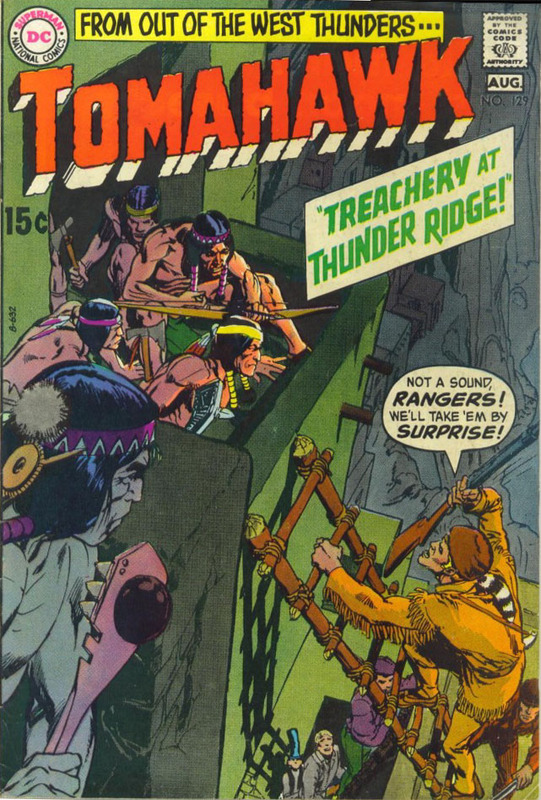 He entered the comic book biz at the tender age of 17, going to work at his cousin-in-law Martin Goodman’s Timely Publications, the precursor to Marvel. 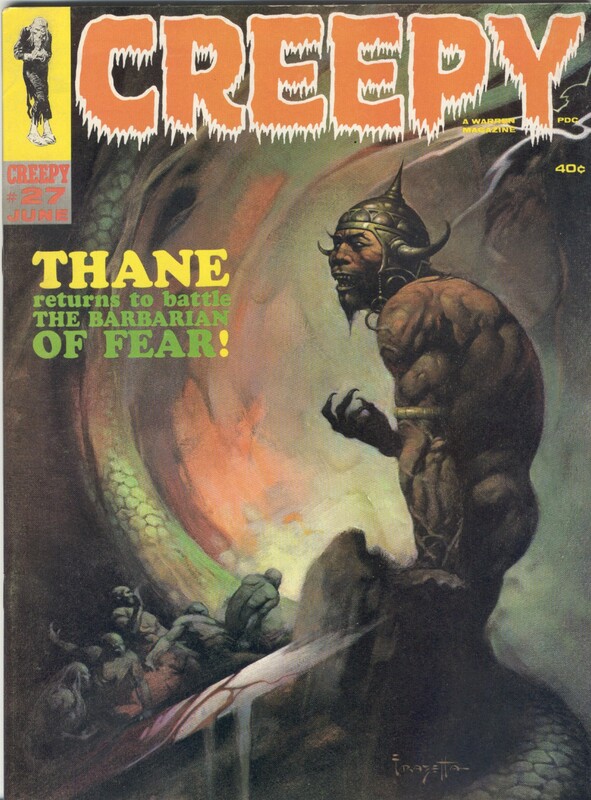 According to Stan’s 1974 book ORIGINS OF MARVEL COMICS (which I still own, and in pretty good condition! ), “I started as a staff writer, proofreader, and general all-around gofer”. 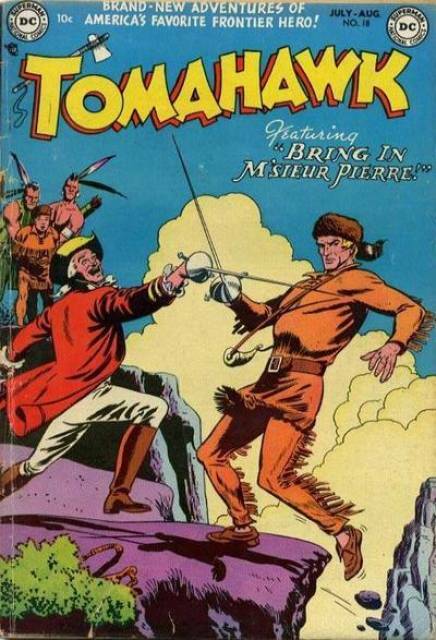 Stan wrote those two-page “fillers” that every comic had to carry back then to satisfy postal regulations, and helped co-create The Destroyer and Jack Frost, neither of whom catapulted their way to the top of the superhero heap. 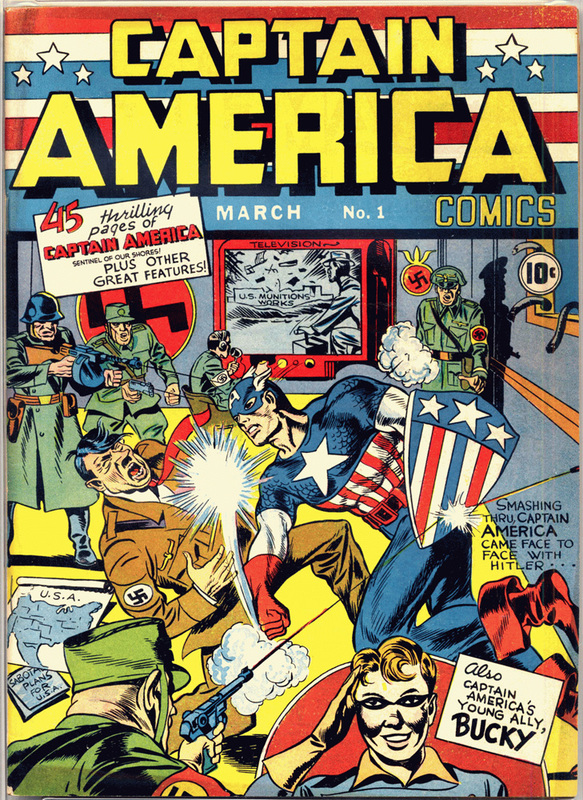 When Captain America creators Joe Simon and Jack Kirby left Timely in a salary dispute, Goodman asked Stan to fill in as editor and art director for the company. The “fill in” job lasted 31 years! 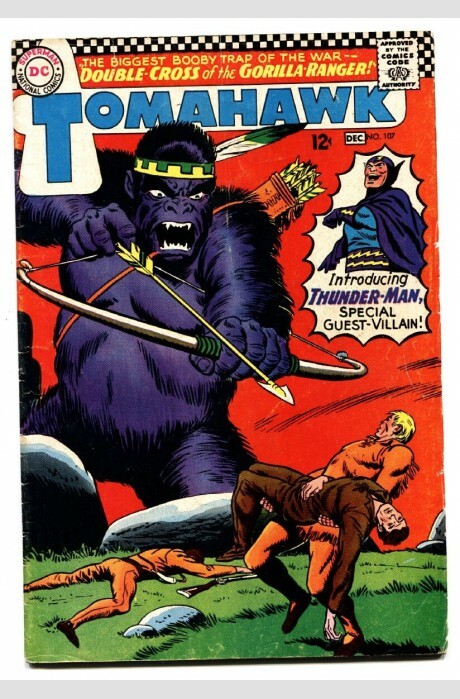 Timely became Atlas in 1951, then Marvel a decade later. 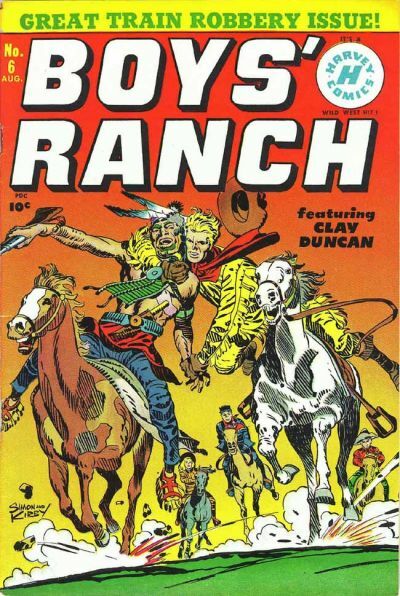 By this time, Stan had written for every comic genre: superhero, crime, western, romance, humor, horror, whatever the market dictated. 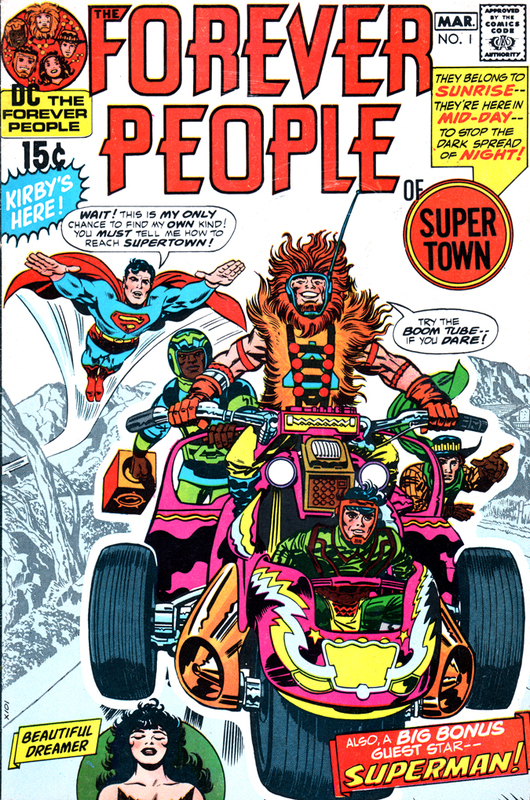 Kirby had come back to the fold, and superheroes were selling well, especially a book by rival DC Comics called THE JUSTICE LEAGUE OF AMERICA, featuring a team of costumed crusaders. 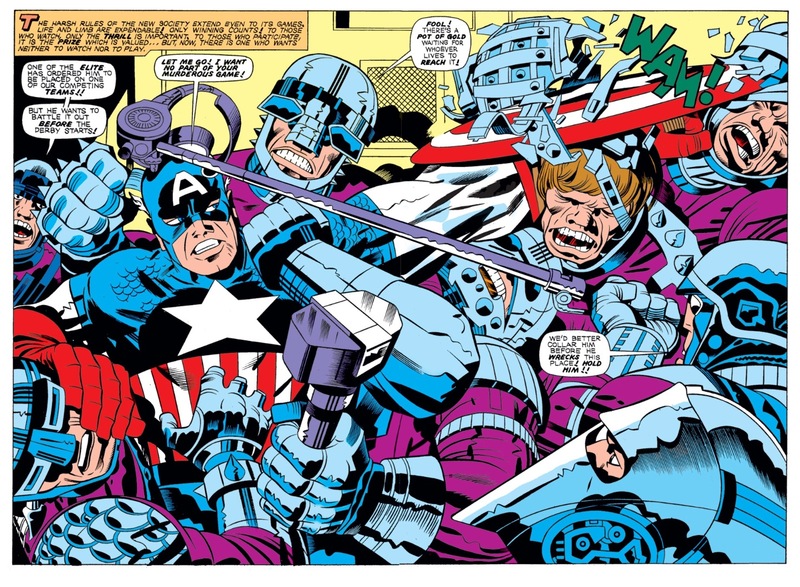 Lee and Kirby brainstormed their way to creating a team of their own for Marvel. 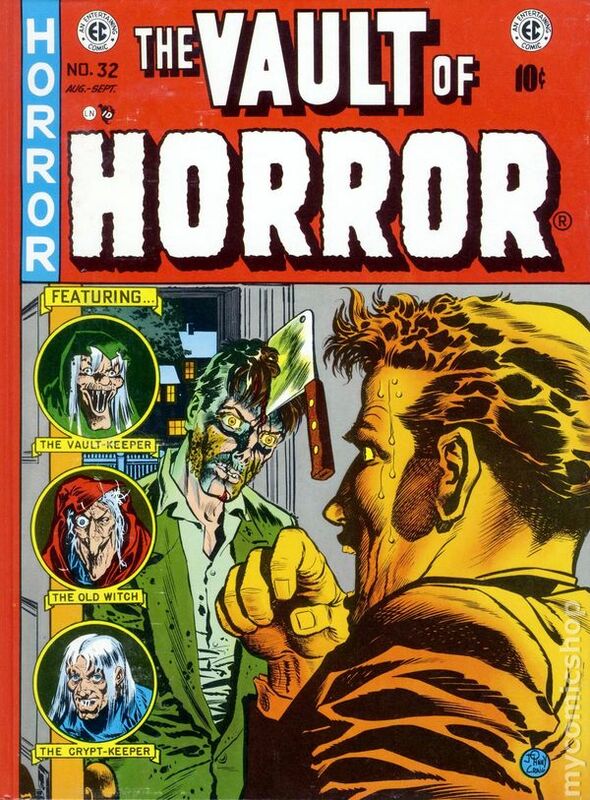 The “Marvel Method” was for Lee and his artists to conceptualize the story, have the artist draw the layout, then Stan (or another writer) would fill in the dialog… the opposite of most other comic publishers, who used the traditional method of having the story written first, then handing it off to the artist. 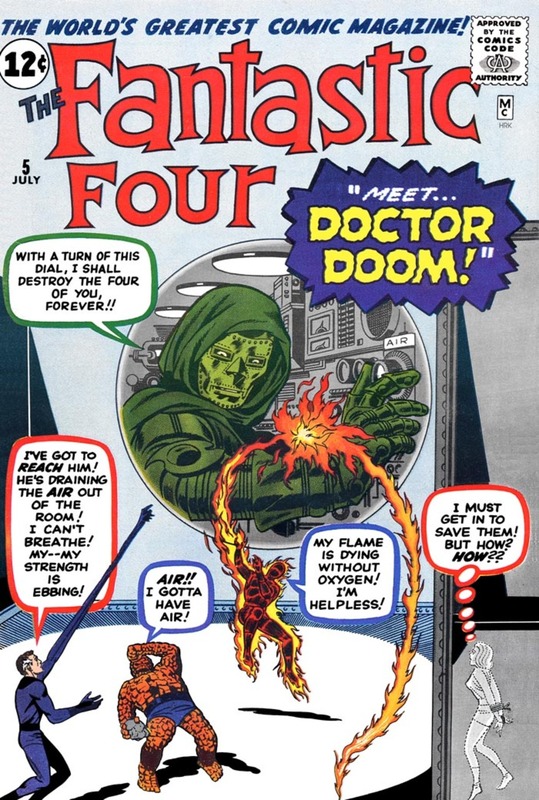 But there was nothing traditional about Lee and Kirby’s first creation – THE FANTASTIC FOUR! Sure, they were superheroes, but without secret identities. 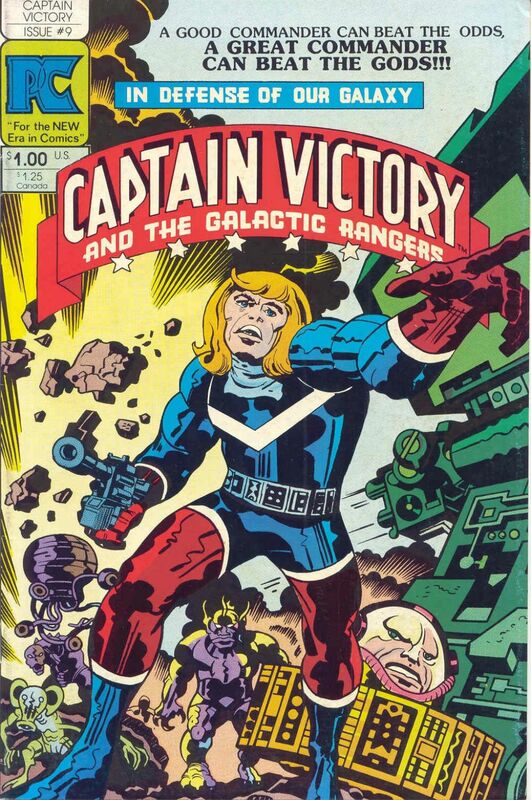 They were brilliant scientist Reed Richards, his girlfriend Susan Storm, her teenage brother Johnny Storm, and gruff hot-shot pilot Ben Grimm, who flew into space and, bombarded by cosmic rays, gained superpowers. Reed became the Plastic Man-like Mr. 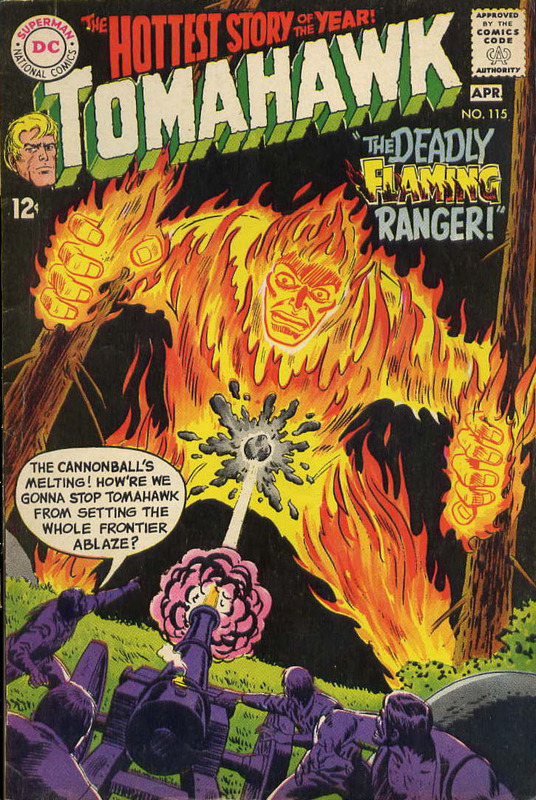 Fantastic, Sue The Invisible Girl, and Johnny flamed on as The Human Torch (based on Carl Burgos’s 1940’s hero). 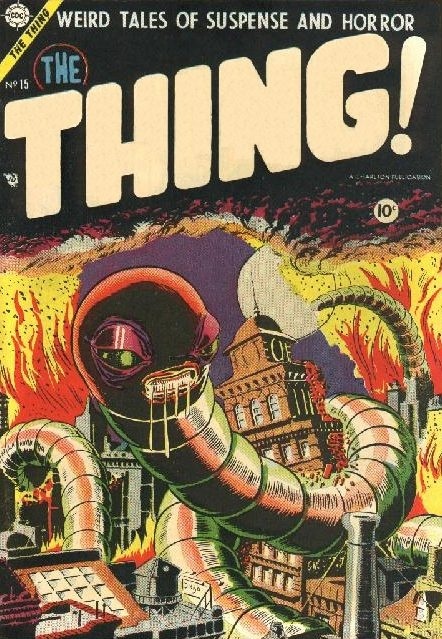 As for Ben, he turned into a rock-skinned monster (not unlike the sci-fi monsters Kirby had been drawing for Atlas) dubbed The Thing, and his bad attitude (wouldn’t you have one, if you looked like a Kirby monster!) made him a fan favorite. 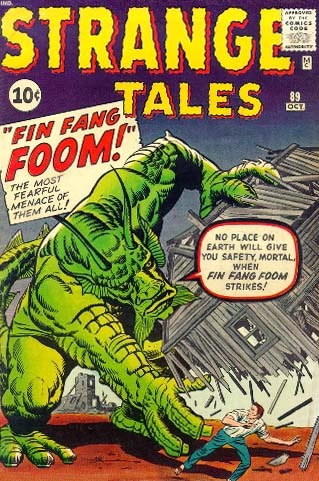 The FF was a sensation, with science fiction adventures that took them beyond the galaxy mixed with Lee’s soap opera dramatics, and became popular on college campuses. 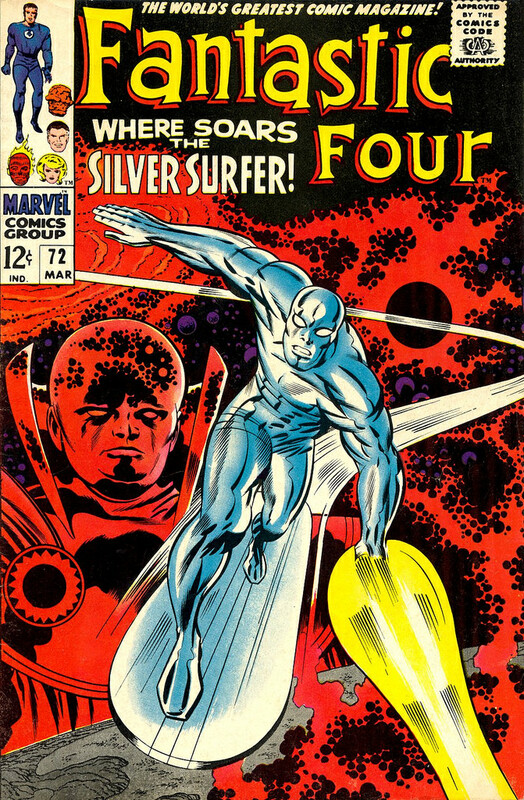 FF #48-50, called “The Galactus Trilogy” and introducing the world to The Silver Surfer, has been cited as one of the greatest achievements in comics history. 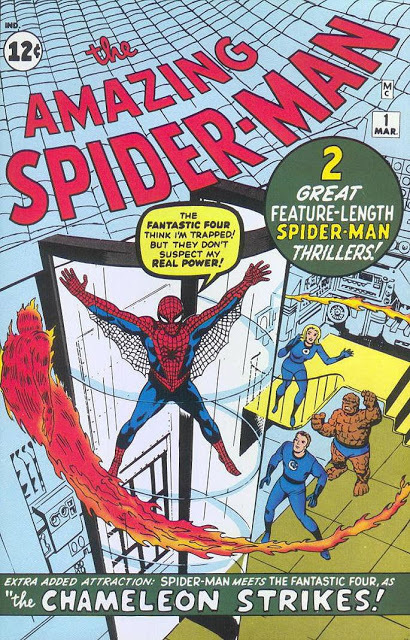 But if The Fantastic Four were a hit, THE AMAZING SPIDER-MAN was a total phenomenon! Artist Steve Ditko co-created this character (some say he was sole creator, but I’m not here to debate), a puny high school nerd named Peter Parker who’s bitten by a radioactive spider and given the arachnid’s abilities. 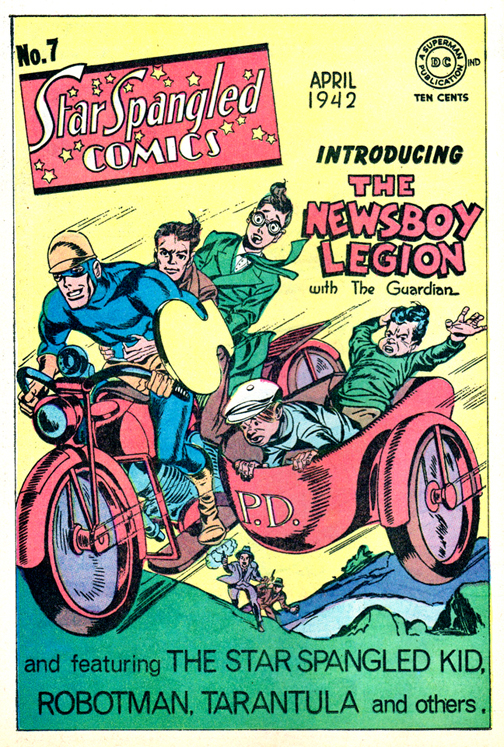 Spider-Man was a huge success, especially among the college crowd, and Peter’s teen-aged (later college-aged) angst, coupled with the dazzling action and a Rogues’ Gallery of supervillains (Doctor Octopus, The Green Goblin, Mysterio, The Vulture) made Spidey comics’ most popular character. 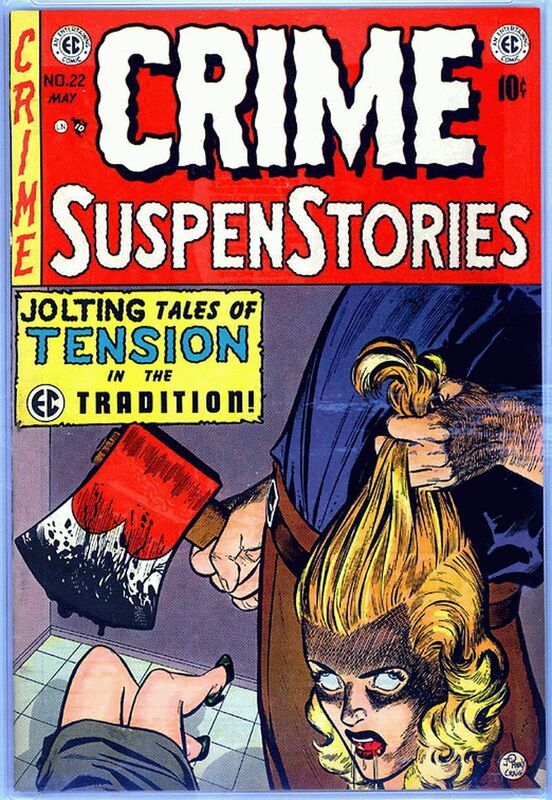 Issues #96-98 had a subplot dealing with Peter’s friend Harry Osborn’s (unbeknownst to all the son of The Green Goblin) drug abuse, a topic verboten by the then-powerful Comics Code Authority. Lee published the trilogy anyway, without the Code’s stamp of approval. More costumed cavorters continued: The Incredible Hulk, Iron Man, Thor, Dr. Strange, The X-Men, Ant-Man and The Wasp, Daredevil. 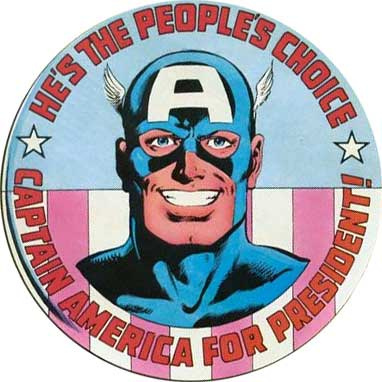 Marvel Comics were the In Thing, and Stan was a shameless self-promoter in the cause of Marvel. 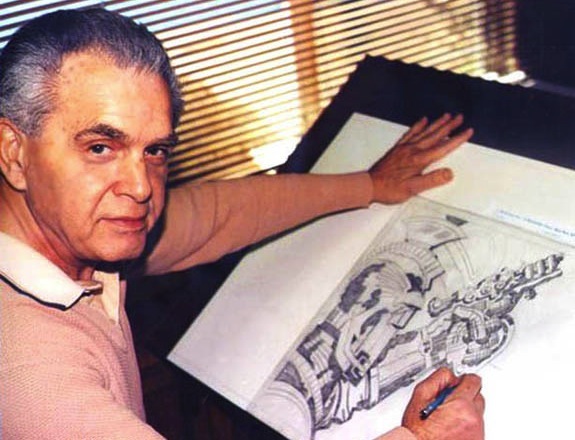 He gave credit to his artists, who were usually nameless and faceless in other periodicals, giving them sobriquets like “Jolly” Jack Kirby, “Sturdy” Steve Ditko, “Dashing” Don Heck, “Jazzy” John Romita, and “Happy” Herb Trimpe. 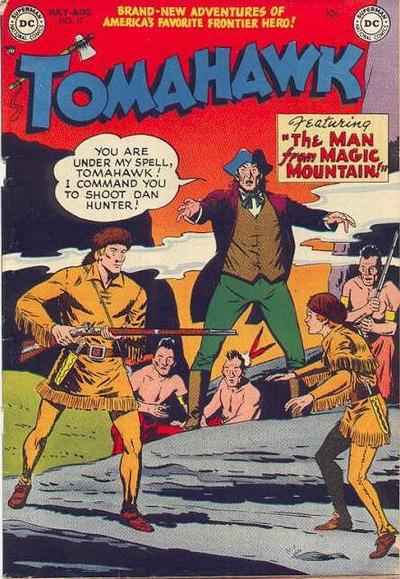 He wrote a column in every book (“Stan’ Soapbox”) espousing the glory of Marvel, started a fan club called The Merry Marvel Marching Society, and ballyhooed his company to whoever would listen. 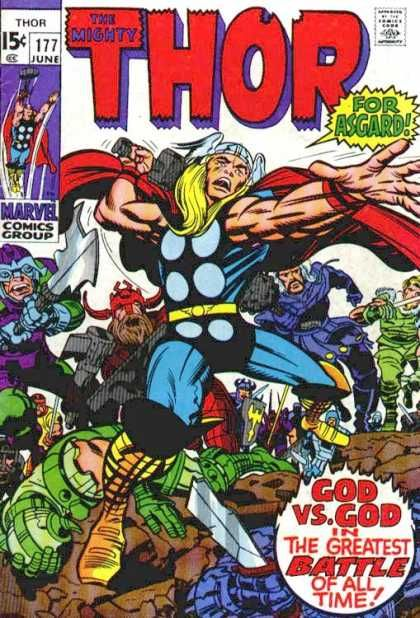 He lectured on college campuses, appeared on TV and radio talk shows, did magazine interviews, and brought the Gospel of Marvel outside the insular comic world into the mainstream. Did he take too much of the credit? 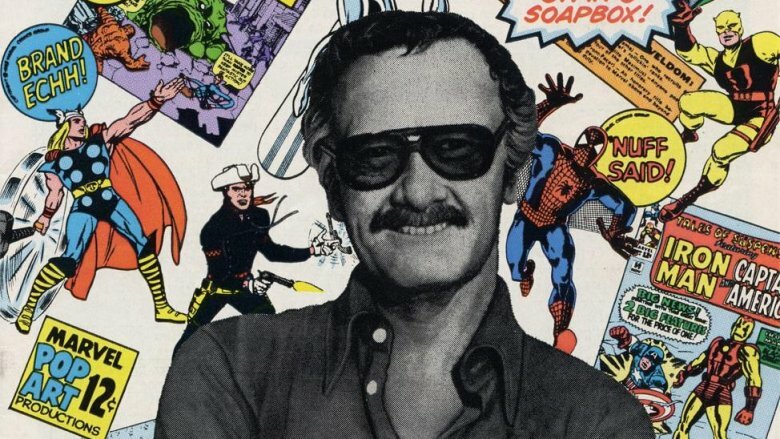 Maybe, but ask yourself this, True Believer – without Stan’s constant hustling way back when, would the superhero movie phenomenon of today exist? Would crowds be gathering at the local multiplex lined up for the latest Spidey, Avengers, or Guardians of the Galaxy flicks? I doubt it. 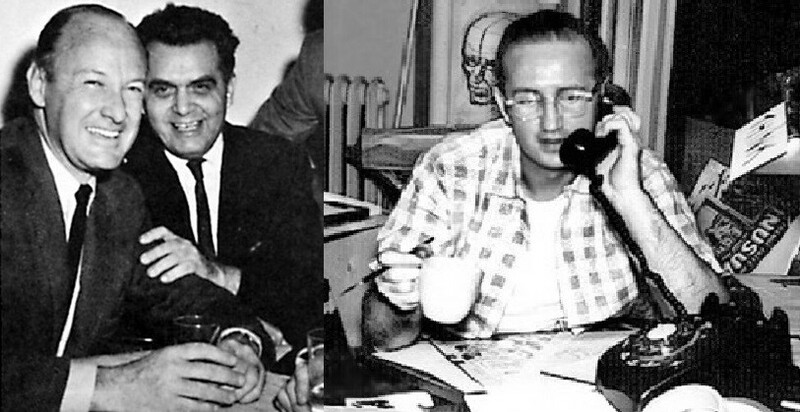 The world lost a true artistic visionary when Steve Ditko passed away at age 90. 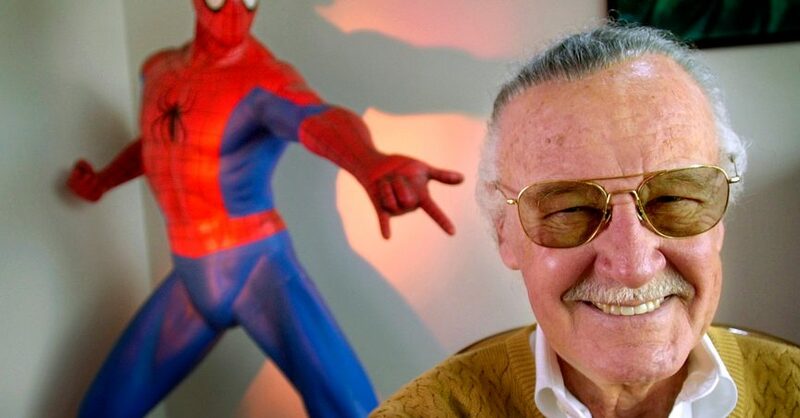 He had supposedly been dead two days before his body was found in his New York City apartment, an ignoble ending to one of comic book’s most unique artists, the man who co-created Spider-Man and Dr. Strange, two characters currently riding high in the Marvel Cinematic Universe. That their spiritual father should leave this mortal coil so anonymously is a tragedy, and a crying shame. 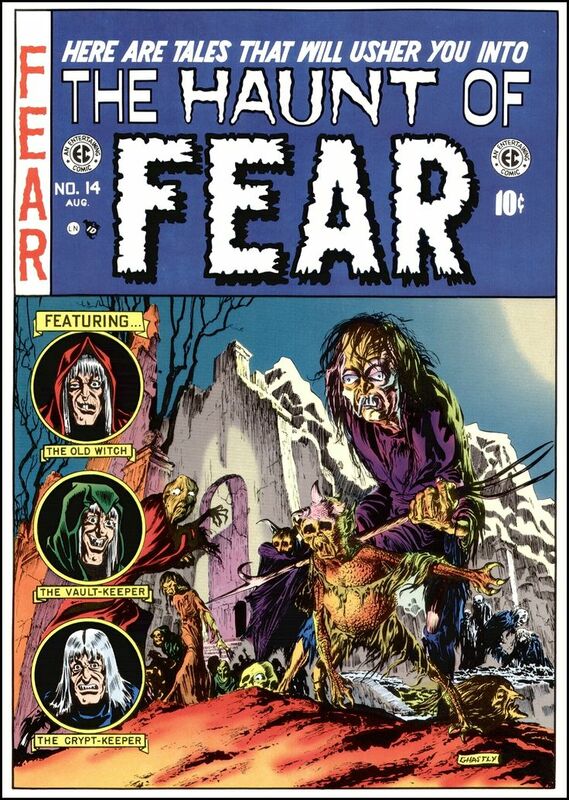 Ditko’s work will never be mistaken for a Jack Kirby or Neal Adams, or any of their myriad imitators. 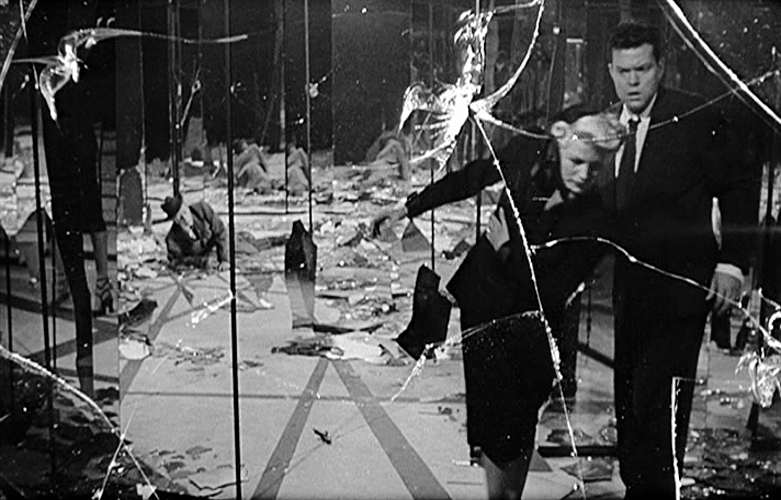 His art was deceptively simple, yet so complicated in its execution. He’s all angles and motion, with lots of empty spaces. His was a style all his own, a style that fans loved for its singularness. 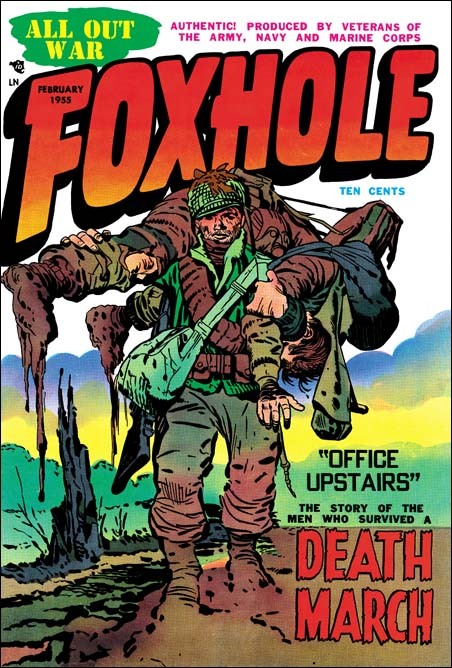 Ditko, after a post-war stint in the Army, entered the comics field in 1953, working for Kirby and partner Joe Simon’s studio, where he met veteran illustrator Mort Meskin. The two worked closely together doing inks and backgrounds. 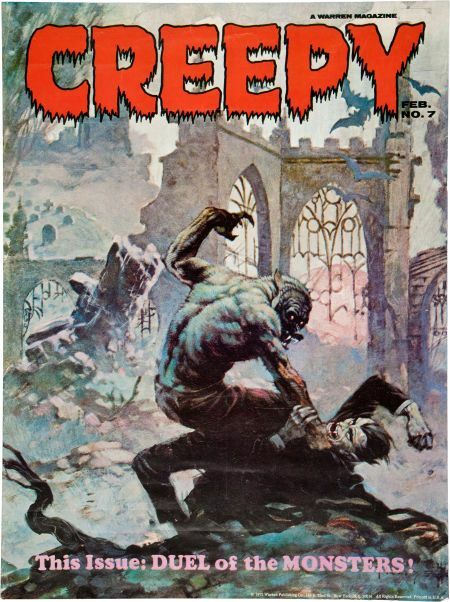 He also began his long association with Charlton Comics that year, an association that would last on-and-off until the company folded in 1986. 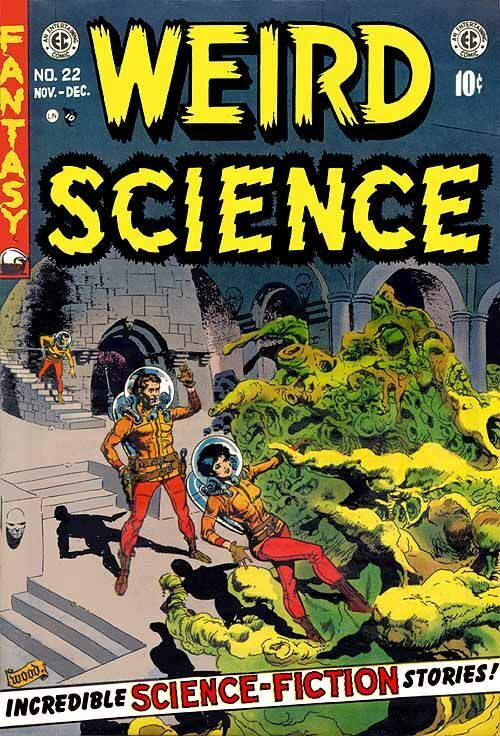 During this period, Ditko also did work for Atlas Comics, where his surreal twist ending short stories for JOURNEY INTO MYSTERY, STRANGE TALES, and TALES TO ASTONISH became popular among readers. When Atlas morphed into Marvel and got into the burgeoning superhero business, Ditko and writer/editor Stan Lee created THE AMAZING SPIDER-MAN, a teenaged superhero filled with teen angst. High school student Peter Parker was a geeky science nerd before getting bit by that radioactive spider, and continued to be plagued by doubt when not in costume. Comic fans had never seen the likes of Spidey before, and he became a huge hit, especially on college campuses during the turbulent 60’s. Ditko demanded and received credit for plotting, and Lee just let him loose and filled in the word balloons. 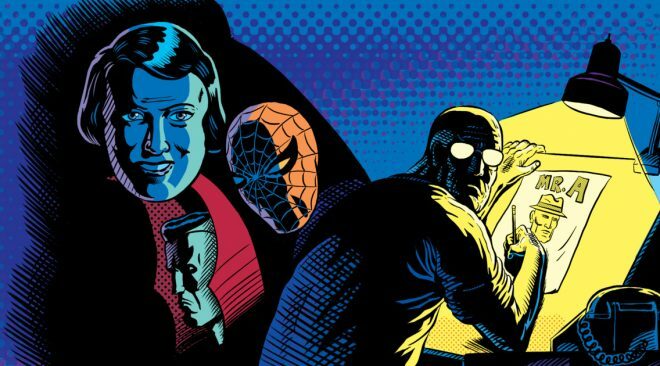 During Ditko’s 38 issue run, some of Spidey’s greatest villains were introduced: The Vulture, Dr. Octopus, The Sandman, Mysterio, and perhaps the greatest of them all, The Green Goblin. 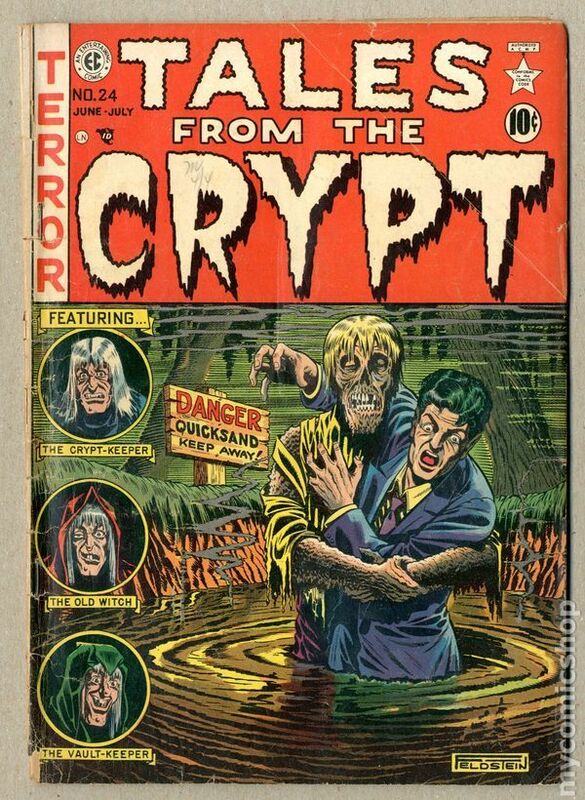 Ditko and Lee also teamed on Dr. 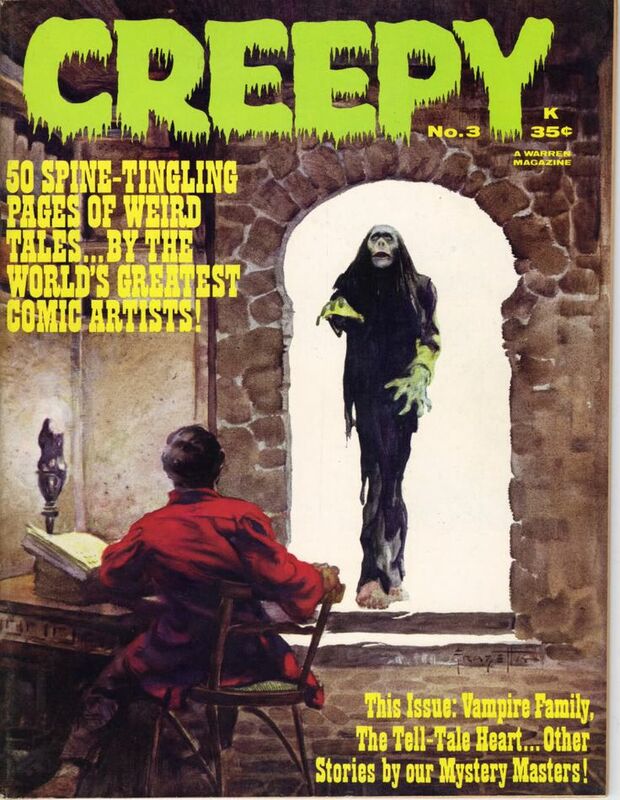 Strange in the pages of STRANGE TALES. 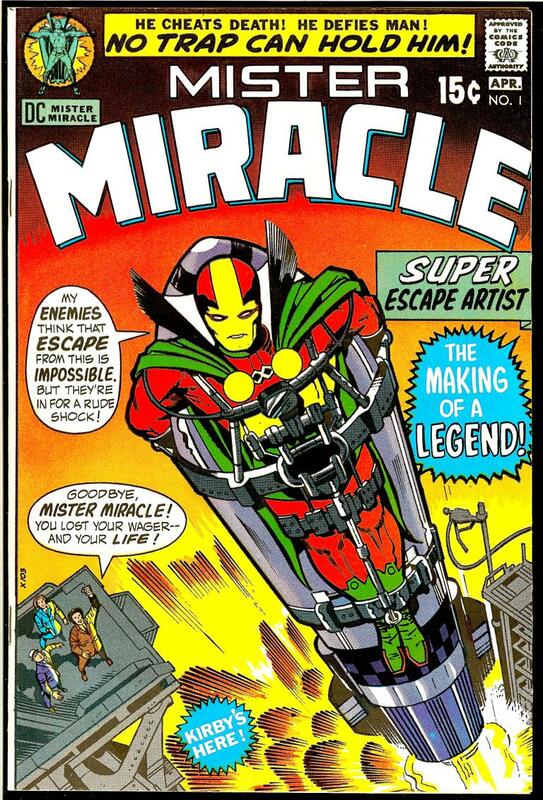 The Master of the Mystic Arts dealt with the supernatural, and Ditko’s trippy, semi-psychedelic art placed the Doctor in other-dimensional battles against the likes of Dormammu and Eternity. Dr. 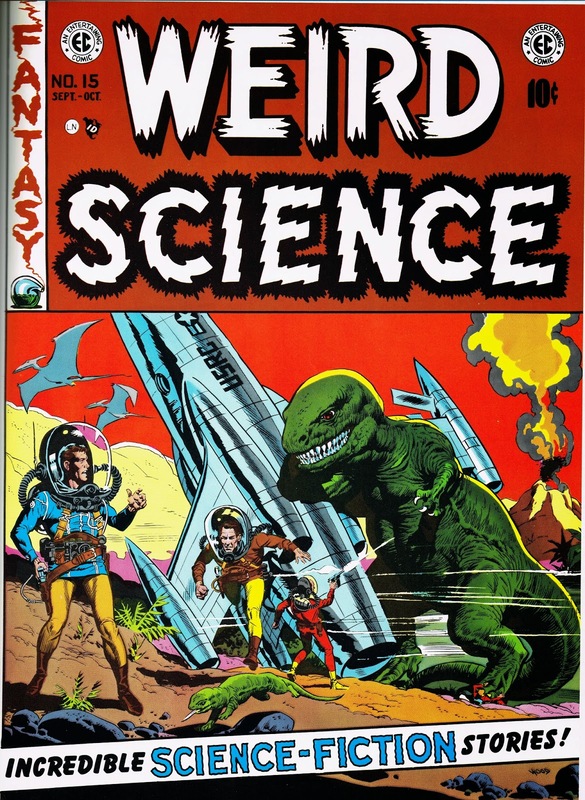 Strange didn’t have the cultural impact of Spider-Man, but was again a hit with the college crowd, who thought Ditko must’ve been tripping on acid to produce such outre’ adventures! After a brief stint on The Hulk in TALES TO ASTONISH, Ditko left Marvel in 1966, working on Charlton’s Blue Beetle and The Question. 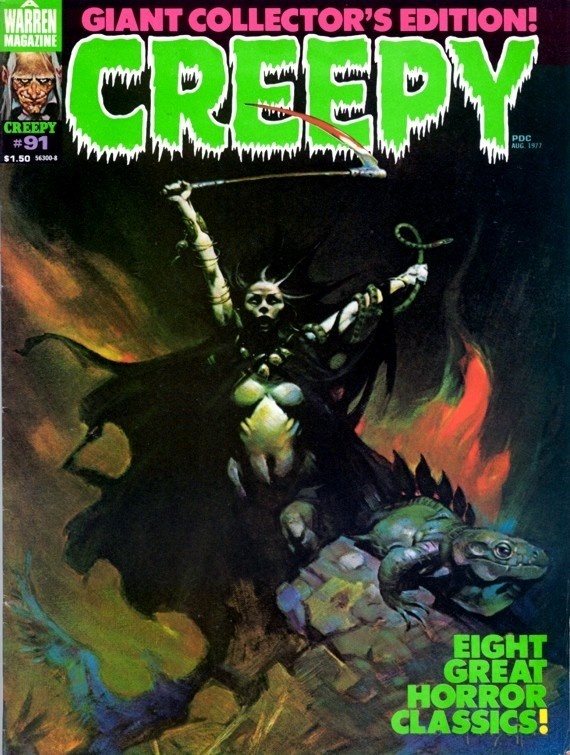 At DC, Ditko created The Creeper and Hawk & Dove, but didn’t stay long. 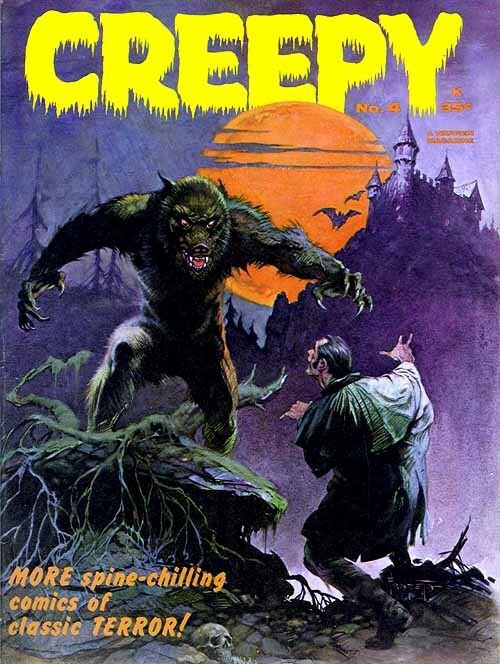 In 1967, he introduced Mr. A in the pages of Wally Wood’s independent witzend. 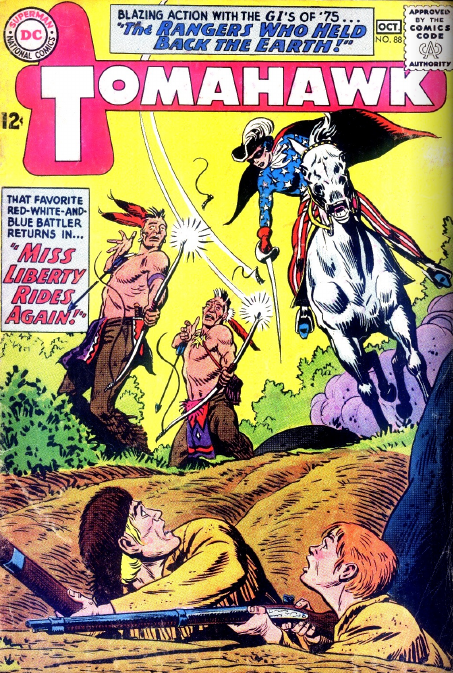 Mr. A was an anti-hero vigilante, based on Ditko’s belief in the Objectivist philosophy of writer Ayn Rand. Mr. A saw no grey area in right and wrong, and dealt harshly with the criminal element to dole out his brand of justice. 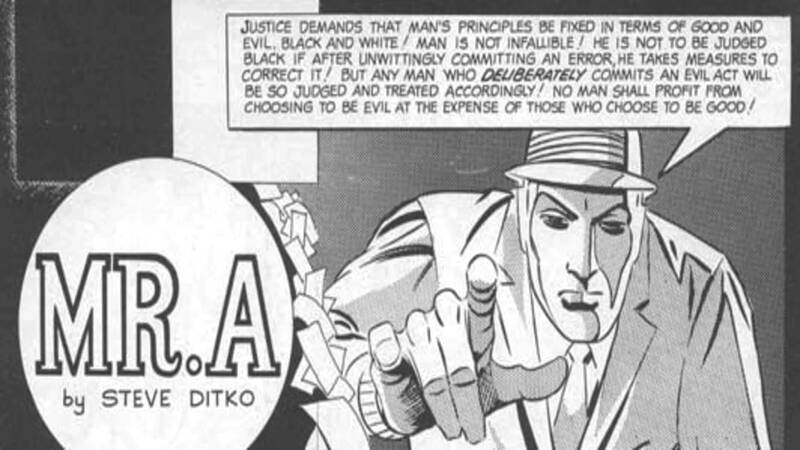 Ditko would return to the character again and again over the years, doling out his own brand of Objectivist theory. 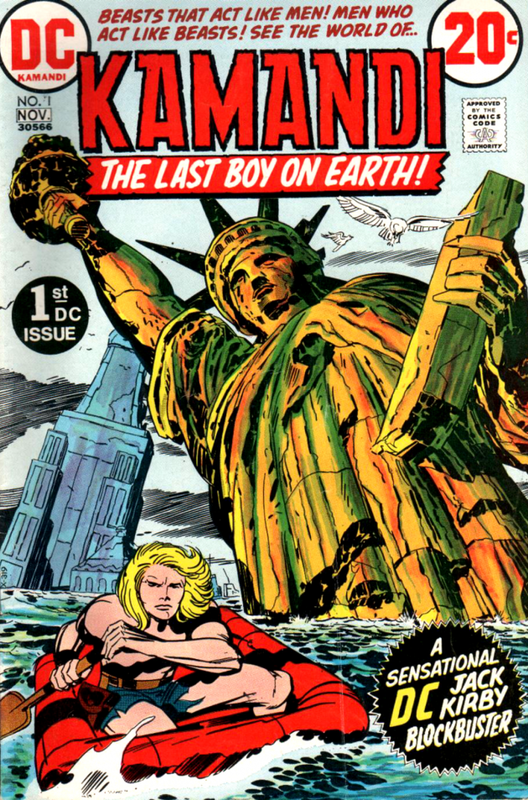 In later years, he worked for Warren, Eclipse, Pacific, and Dark Horse, returning now and then to Marvel and DC. He released all his new works through an independent publisher from 1998 on, preferring total artistic control rather than work-for-hire jobs. 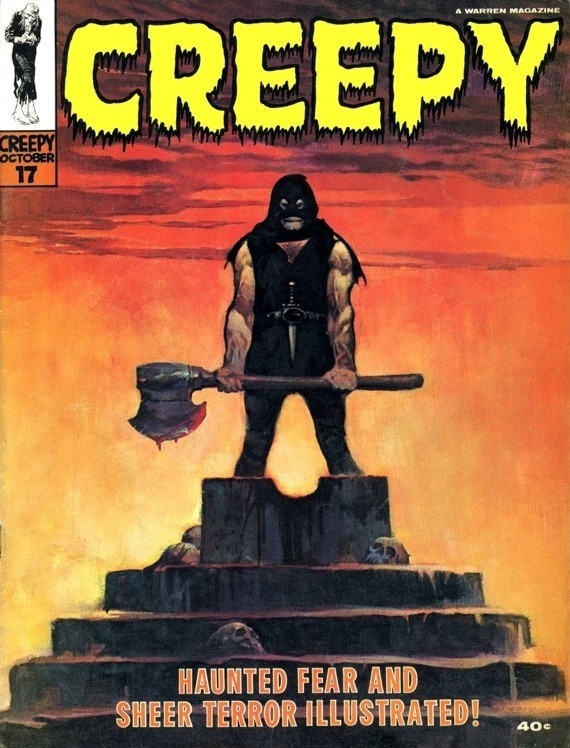 He refused interviews and public appearances at Comic Cons, deciding his work could do his talking. 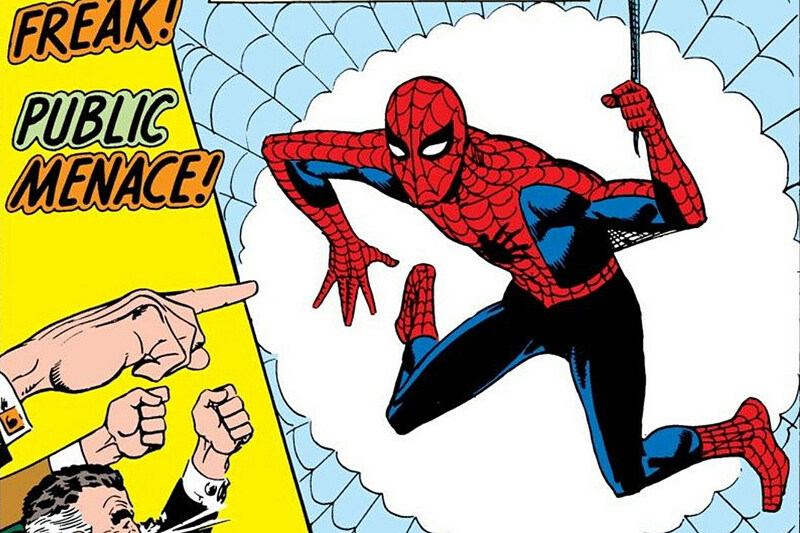 Steve Ditko was an iconoclast, an innovator, and a genius in his chosen field. He may have died alone, but his art belongs to the world. 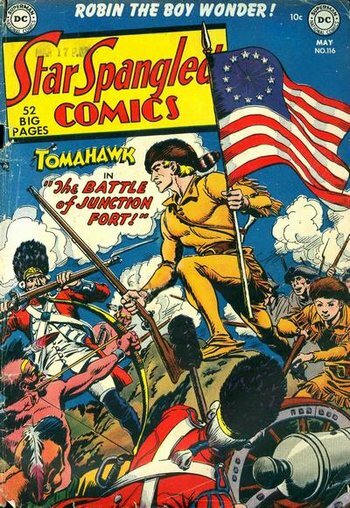 TOMAHAWK Fights The War of Independence – in Comic Books! 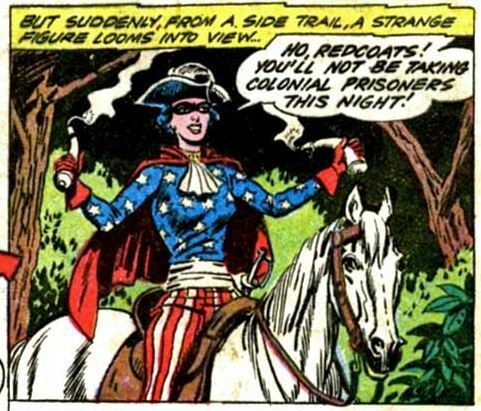 There weren’t very many comic-book heroes (super or otherwise) whose adventures took place during the Revolutionary War era. 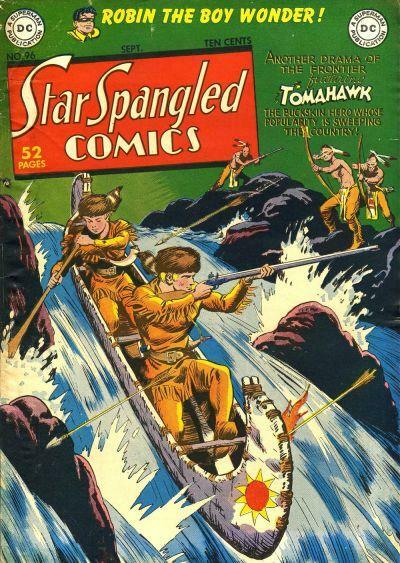 In fact, I can only think of one – DC’s Tomahawk, who made his four-color debut in Star-Spangled Comics #69 back in 1947. 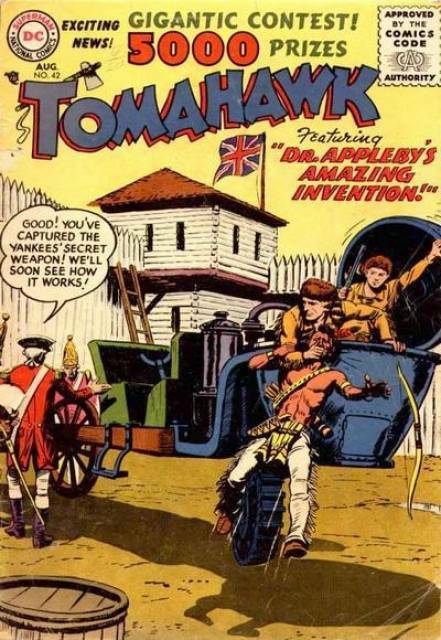 Tomahawk fought not only the British, but Indian co-conspirators in the pages of Star-Spangled and World’s Finest, getting his own book in 1950, which had a 140 issue run until folding in 1972. Halloween Havoc! 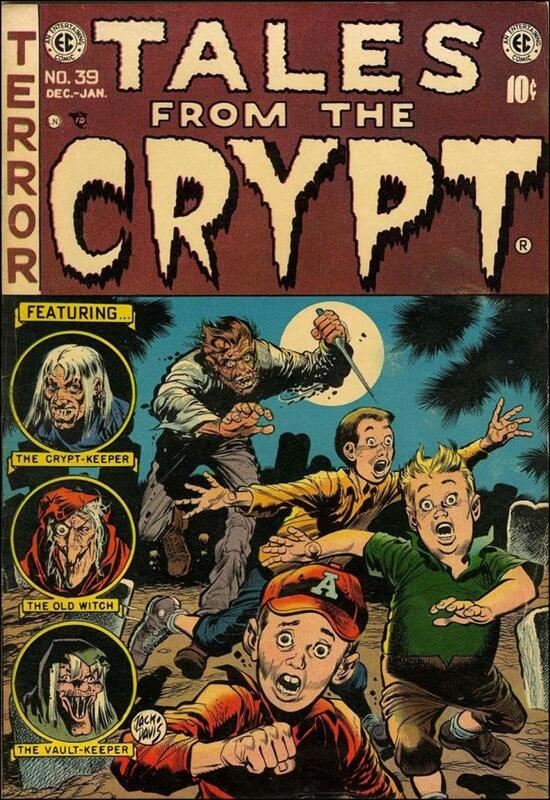 Extra: The Mind-Warping World of EC Comics! 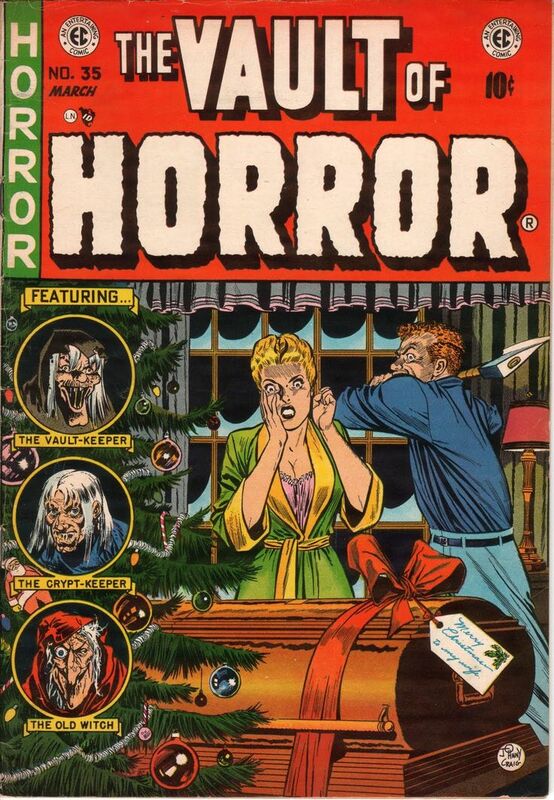 William M. Gaines’ graphic and gruesome line of horror, crime, and science fiction comics helped turn America’s youth into mouth-foaming, homicidal Juvenile Delinquents until they met with a horror of another kind – Dr. Fredric Wertham and the U.S. Congress! 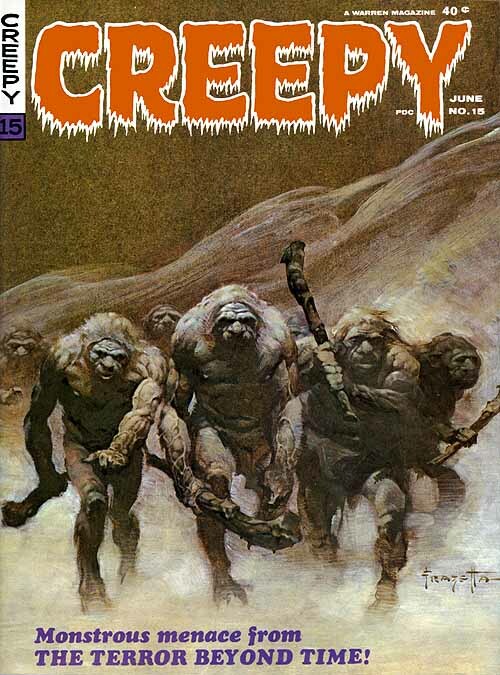 These beasts effectively destroyed EC through censorship and propaganda, ending one of graphic arts’ most creative eras. 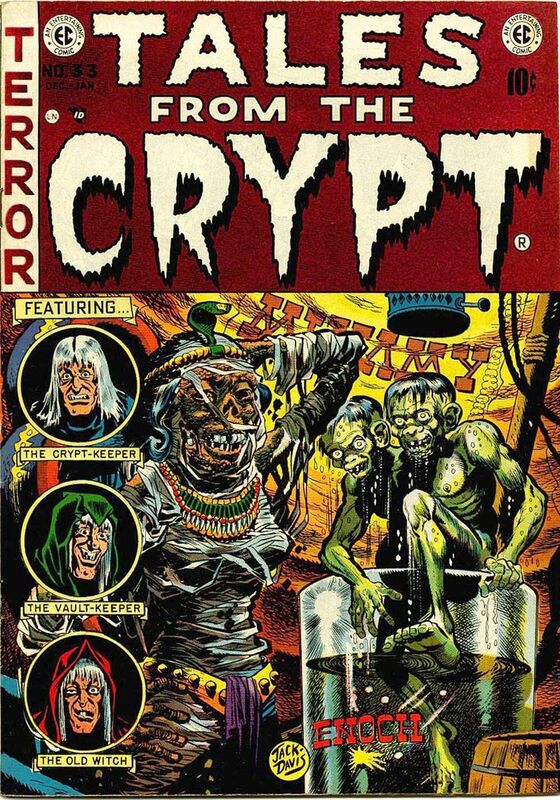 But EC still lives in the hearts and minds of horror fans everywhere, so here’s gallery of ten spine-chilling covers from the Golden Age of EC Comics! Spa Fon! Evil elitists are plotting to transmit mind-controlling madness, turning America’s citizenry into docile sheep to do their bidding! No, I’m not talking about today’s election (though I could be! 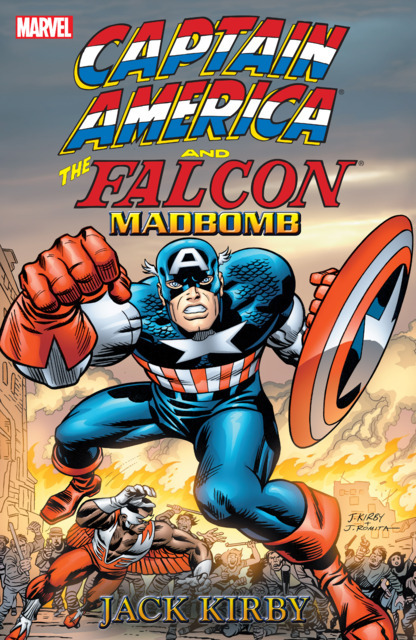 ), it’s the plotline of CAPTAIN AMERICAN AND THE FALCON: MADBOMB, Jack Kirby’s 1975 seven part epic collected in this 2004 graphic novel release. 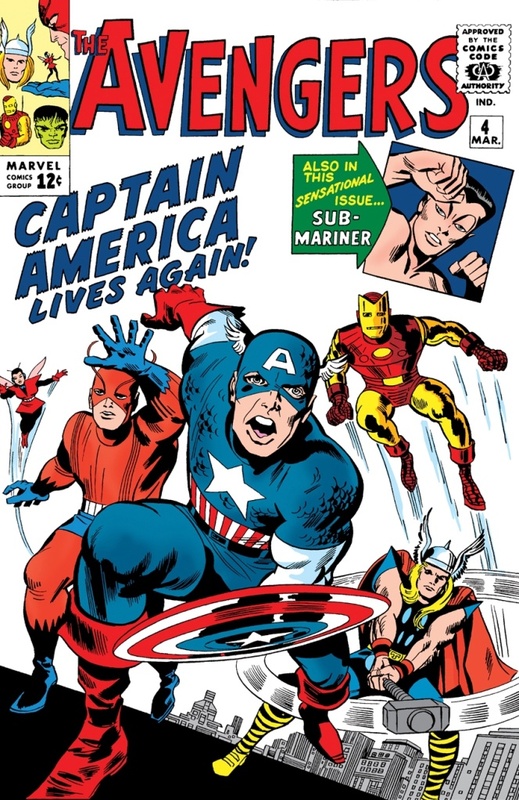 The King was making his return to Marvel after five years working for rival DC, and took over the reigns of his baby Cap’s monthly book as writer/artist/editor. 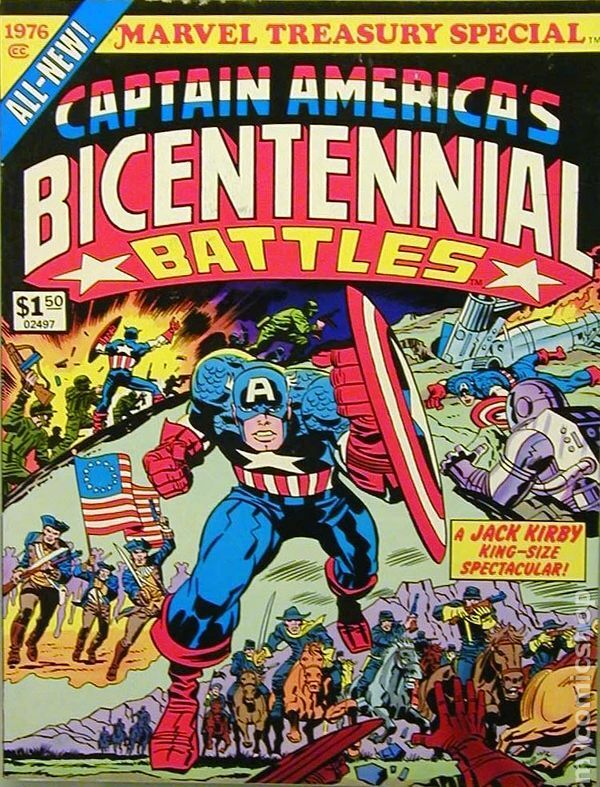 Kirby was never a great writer, but he shines in this tale of an attempted hostile takeover of America by a group of elitists using the Madbomb to control the populace and rule the good ol’ USA. 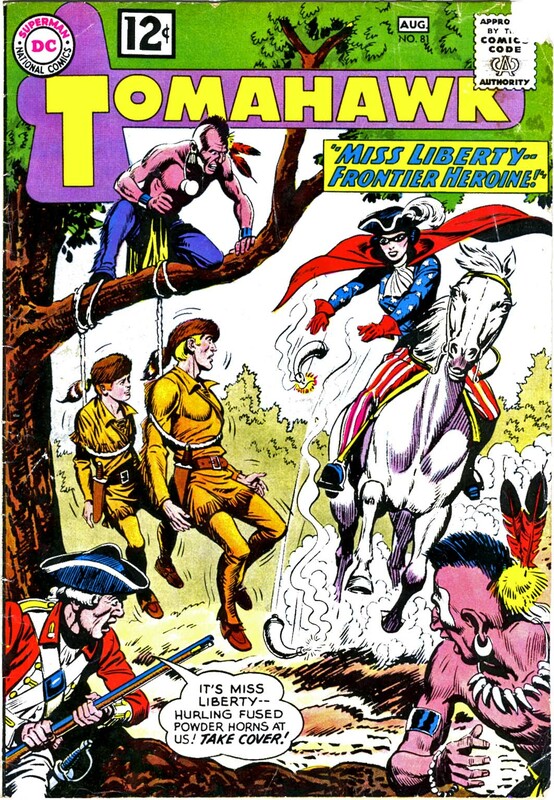 Cap and the Falcon are enlisted by no less than Secretary of State Henry Kissinger to thwart the fiendish plot. 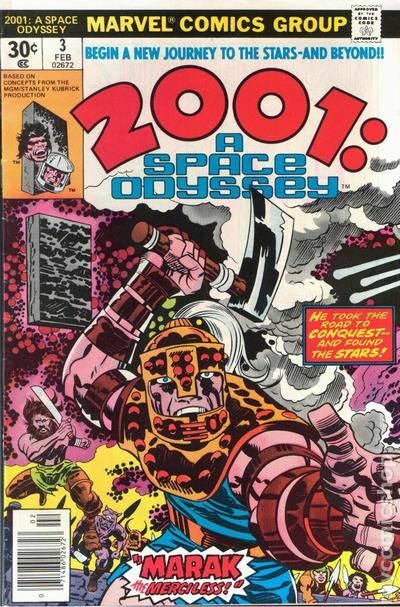 King Kirby’s artwork is stunning, embellished by inkers Frank Giacoia and D. Bruce Berry. 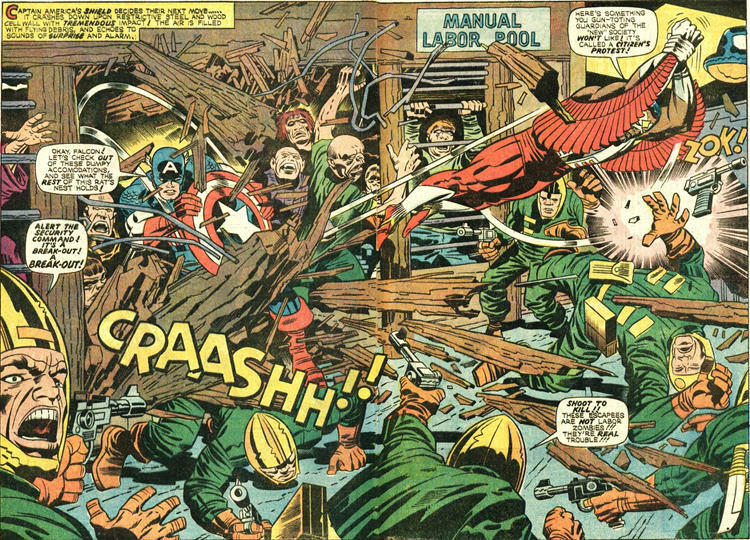 Kirby gives us some great two-page spreads filled with gadgets and non-stop action as only he could.